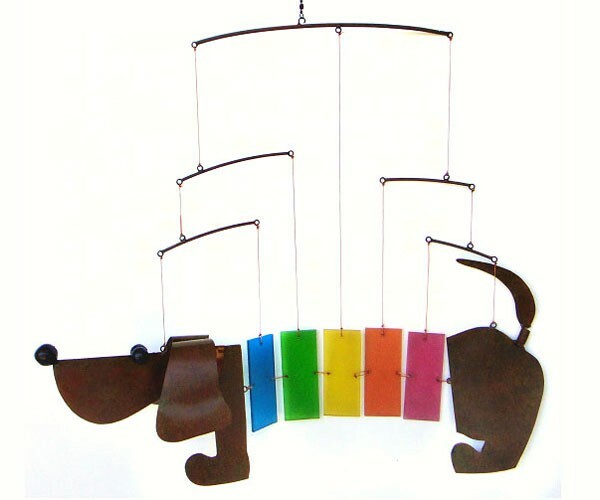 Rainbow Dachshund Mobile undulates in the breeze! Everyone loves the Sausage, Wiener Dog! Handcrafted metal and glass hanging mobile. Great gift for the dog lover!